The Competition Edit page is accessed from the Editor's login page - click the Competitions/Matches button. In the Competition Edit page, the competition selection is via the season/organisation/competition combos. 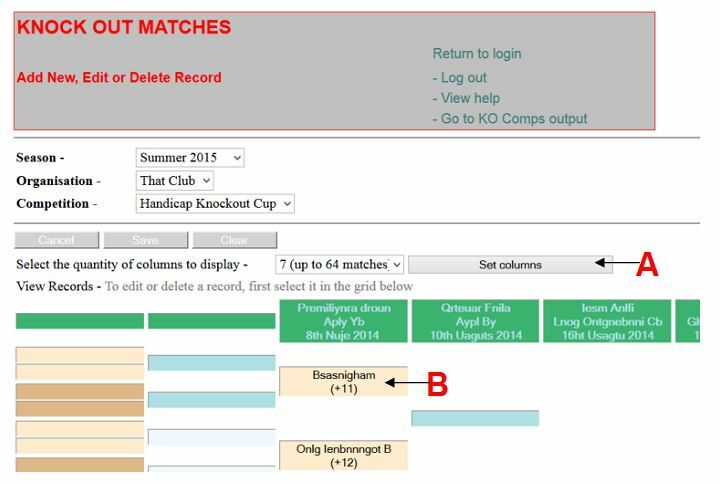 The editor can reduce the quantity of columns to view via the combo at A below. The editor can click on a header, team content or score to edit it. Below is a picture of the screen after the editor clicks on the item B above. Here the editor can modify the contents of the display or insert a score into the text box shown at C above. 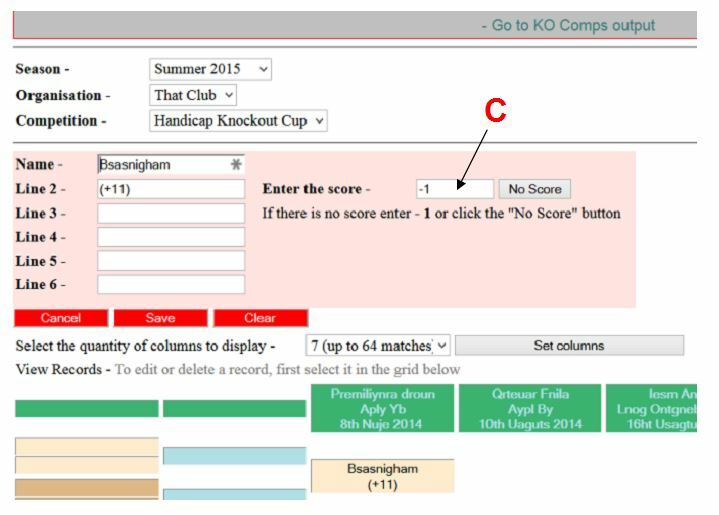 When the score has been inserted into both opponents the program will automatically select the winner and put it through to the next round. Under most circumstances, the edit area might appear as below, with a "Name+" button. You can then go back into FRED and BERT'S boxes and put the correct scores in. 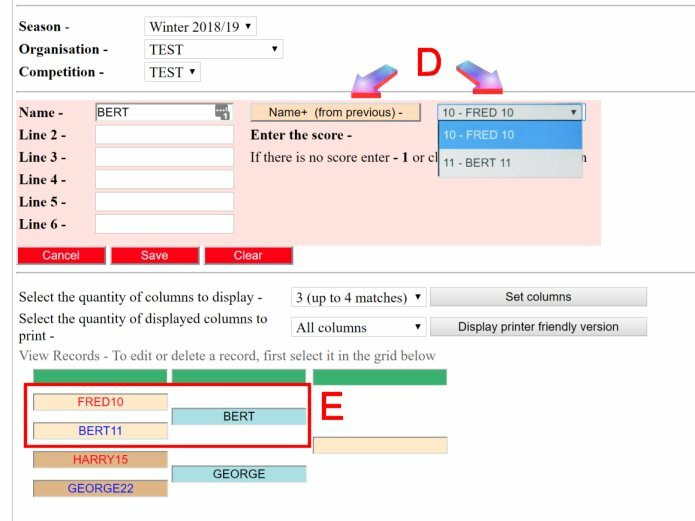 See item Competition Planning and Competition Planner Software for information about how the web editor or sub-editor can set up the competitions.